Few foods say good times like a sizzling 16-ounce rib eye. For generations, Americans have celebrated milestones, successes and summer get-togethers with a juicy slab of fat-marbled beef, and for most of us, a trip to a pricey steak house is still an occasion. If that occasional steak were the only red meat we ate, many health experts would be thrilled. But today, Americans consume an average of 74 pounds of red meat (beef, veal, pork and lamb) per person each year much of it in the form of fast-food burgers and processed meats such as bacon, deli meats and hot dogs. Thats too much red meat, and its sending us to early graves, according to a growing body of medical evidence. In March, researchers at the Harvard School of Public Health published results of a groundbreaking study that made headlines around the world. The massive, 120,000-subject, 28-year study showed that people who consumed a serving of beef, pork or lamb per day had a 13 percent increased risk of death, compared with people who ate very little or no red meat. Those who ate a daily helping of processed meat, such as bacon and hot dogs, had a 20 percent increased risk of death from diseases, including cancer and heart disease. In an interview on National Public Radio, Frank Hu of the Harvard School of Public Health, a co-author of the study, called the statistics staggering. This study provides clear evidence that regular consumption of red meat, especially processed meat, contributes substantially to premature death, Hu said in a release issued by the Harvard School of Public Health. The livestock industry has pushed back, arguing that the Harvard study was flawed and that lean meat actually improves heart health by lowering cholesterol. This week, many of the countrys biggest livestock producers are gathering in Denver for the 107th National Western Stock Show. As the city gears up to host the annual event which will bring some 15,000 animals, 600,000 show-goers and millions in revenue to town the voices grow louder: Americans must sharply curb their appetites for hamburgers, chops, hot dogs and deli meats or suffer the potentially lethal consequences. The landmark Harvard study reinforced numerous earlier findings. In March 2009, a 10-year National Cancer Institute study of more than half a million Americans showed that those who ate the most red meat boosted their overall risk of death 30 percent. It found that men who were big meat eaters had a 22 percent increased risk of death from cancer and a 27 percent higher risk of cardiovascular disease compared with men who ate the least. For women who ate the most meat, the risk of cancer death increased by 20 percent and the risk of heart disease increased by 50 percent. Those who eat two portions a day equivalent to a bacon sandwich and a filet steak increase their risk of bowel cancer by 35 percent over those who eat just one portion a week, the study found. The World Health Organizations international agency for research on cancer (IARC) called for everybody to eat more fish and less meat. Because of its size and duration, this Marchs Harvard study was in a class by itself. Researchers followed 37,698 men from the Health Professionals Follow-up Study for up to 22 years and 83,644 women in the Nurses Health Study for up to 28 years. All were free of cardiovascular disease and cancer at the start of the study. Every four years, the participants answered questionnaires about their diets. The amount of meat they ate was divided into five categories, ranging from the most up to about three servings daily to the least, or less than half a serving daily. Over the course of the study, 23,926 test subjects died 5,910 from cardiovascular disease and 9,464 from cancer. Researchers concluded that a daily serving of unprocessed red meat (about the size of a deck of cards) carried a 13 percent increased risk ofdeath, and one daily serving of processed red meat (one hot dog or two slices of bacon) carried a 20 percent increased risk. Dr. James Ehrlich, clinical associate professor in the Department of Medicine at the University of Colorado, called the findings highly significant, owing mainly to the huge sample size and the unassailable credentials of the investigators. These particular individuals at Harvard School of Public Health Frank Hu, An Pan, Walter Willett, JoAnn Manson and others have been major contributors to our understanding of the relationship of risk factors to mortality and cardiovascular disease over many years and lead me to believe that the numbers they came out with are probably true. If theres a weakness, its the fact that the study was done primarily by (self-reported) questionnaires, and there are confounding factors that always make it a little difficult to believe the exact results of the study, said Ehrlich, who practiced anesthesiology for 20 years and is an advisor to Premier Micronutrient Corp.
For example, in general, the people who are red meat-eaters also have a higher prevalence of smoking and lack of exercise, so theyre not able to completely separate some of these confounding factors that contribute to results of the study. But having said that, I found the results somewhat surprising but highly significant. Ehrlich said that perhaps the most exciting aspect of the study was its replacement analysis. Thats what is unique to this study It showed that replacing one serving of red meat with fish, poultry, nuts, legumes, low-fat dairy or grains was associated with a 7 percent, 14 percent, 19 percent, 10 percent, 10 percent and 14 percent lower risk of total mortality, respectively. So the group estimated that nearly 1 in 10 deaths in men and 7.6 percent of deaths in women could be prevented if the population consumed fewer than a half a serving of red meat per day Thats a lot, actually. There are very few things in life that you can show that kind of mortality benefit from an intervention. In this case, the intervention is replacement, something that all of us can do. Most interventions we talk about in medicine are surgical procedures or lifelong drugs, but this is a simple lifestyle maneuver that doesnt cost us money. Its not as if grains are more expensive than red meat. The second conclusion from the study is that processed meat probably should be totally eliminated from the diet, and red meat should be limited to three servings per week, Ehrlich said. Bonnie Jortberg, Ph.D., assistant professor in the Department of Family Medicine at the University of Colorado School of Medicine, hailed the study as extraordinarily well done. She had a slightly different interpretation of the studys recommendations. What I have learned over the years, working in nutrition, is there are no good foods or bad foods, said Jortberg, whos also a registered dietician. Some you should eat less often and some more often. Red and processed meat fit in the category of less. It doesnt mean you should NEVER eat them. And I think thats where we run into a lot of trouble. People say, Oh I just have to swear off bacon. But if you love bacon, thats not realistic. Jortberg said she limits her red meat consumption to two days a week, and processed meat to a strict two servings a week, or fewer. Dr. Dean Ornish, author and longtime advocate of plant-based diets, wrote a commentary accompanying the Harvard study results in the Archives of Internal Medicine. Little or no red meat. High in good carbs vegetables, fruits, whole grains, legumes and soy products. Low in bad carbs simple and refined carbohydrates, such as sugar, high-fructose corn syrup and white flour. High in good fats omega-3 fatty acids found in fish oil, flax oil. Low in bad fats trans fats, saturated fats and hydrogenated fats. Why red meat appears to increase mortality is not understood, but it contains a significant amount of saturated fat and cholesterol, two risk factors for cardiovascular disease. Processed meats also have high levels of sodium andnitrates. Sodium can raise blood pressure, increasing the risk of stroke and heart disease, while nitrates may damage blood vessels. Red meat has a high amount of heme-iron, (which) when overloaded, is associated with insulin resistance and oxidative stress; 2) high saturated fat and dietary cholesterol in red meat; 3) carcinogens produced by high-temperature cooking; 4) salt and nitrate contents in the processed meat; 5) other compounds added during the production of red meat to the market; 6) unhealthy lifestyles associated with red meat consumption (for example, in the general population, people who eat red meat generally are less likely to eat more fruit and vegetables and whole grains, so they are lacking good foods, and they might be more likely to smoke and physically inactive, etc. ); 7) we found an association, not causation, it is still possible that other unmeasured factors linked with red meat consumption could explain the association. The meat industry, meanwhile, maintains that a balanced diet one including lean meat is still the healthiest diet. In response to a Solutions request to talk to a spokesperson from the National Cattlemens Beef Association about the Harvard study, the Centennial-based group provided a written statement it issued shortly after the study was released. Overall lifestyle patterns including a healthy diet and physical activity have been shown to affect mortality, not consumption of any individual food, wrote Shalene McNeill, Ph.D., R.D., of the National Cattlemens Beef Association. Additionally, it is significant to note that this was an observational study. Observational studies cannot be used to determine cause and effect. If there is one thing scientists agree on, it is that responsible dietary advice must be drawn from a look at the entire body of evidence, including rigorous, gold standard randomized control trials when they are available. In the case of beef, there are several randomized control trials which have convincingly shown that lean beef, when included as part of a healthy, balanced diet, improves heart health by lowering cholesterol. Most recently, the BOLD (Beef in an Optimal Lean Diet) study showed that eating lean beef every day, as part of a heart-healthy diet, could reduce LDL cholesterol by 10 percent as much as any other recommended heart healthy diets. 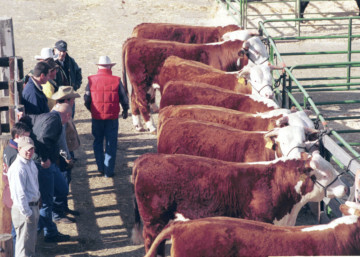 The beef industry argues that beef today is leaner than ever, due to breeding improvements and better trimming practices at the retail level. The Alliance for Natural Health, a Maryland-based group that advocates for dietary supplements and alternative medicine, also took issue with the Harvard study because it relied on self-reported data and didnt differentiate between organic, grass-fed beef and feedlot-raised beef. The group argued that conventional grain-fed beef may contain over 20 times the amount of omega-6 fatty acids (associated with arthritis, chronic inflammation and cancer) than healthful omega-3 fatty acids (which help blood circulation, reduce inflammation and strengthen the heart). By contrast, grass-fed beef typically has nearly seven times more omega-3s than omega-6s, the ANF statement read. Dr. Walter Willett, another co-author of the Harvard study, told the Los Angeles Times its not yet known if grass-fed beef is healthier to consume than grain-fed. The total fat (in grass-fed beef) may be a bit lower. But we dont see that the fat per se is really related to the risk of getting heart disease or cancer, Willett said. Cholesterol is more in the lean part of the red meat, so thats going to be just as high and maybe even higher in the grass-fed animals. I think it would be nice to be able to study grass-fed beef directly, but I think in the meantime its reasonable to assume that the answer is probably not going to be very different from what we saw here. Finally, P.J. Skerrett, managing editor of Harvard Health, cautioned readers to keep the study results in perspective. Recently released findings of a Japanese study of 51,000 subjects over 16 years found no connection between moderate meat consumption (up to three ounces a day) and premature death, Skerrett wrote, and last year, a study bydifferent researchers from the Harvard School of Public Healthfound no connection between eating unprocessed red meat and the development of heart disease and diabetes, though there was a strong connection with eating processed red meat. So how much meat DO we eat? 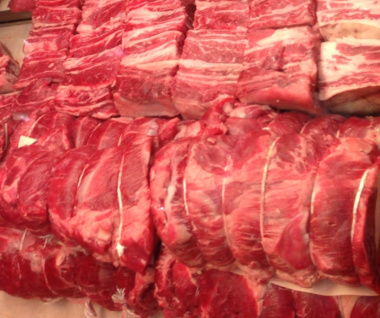 Red meat consumption has been declining for 40 years. Average annual per capita consumption of red meat (beef, veal, pork and lamb)in the United States in 2010 was 74 pounds, adjusted for loss, according to the USDA. The amount 40 years earlier in 1970 was about 96 pounds per person, and consumption has declined fairly steadily since then. In 2012, the USDA refined its calculations of Americans meat consumption to better reflect loss due to spoilage, cooking and meat left uneaten on the plate. While the government collects several sets of data on meat, the loss-adjustedfood availability estimatesmore closely approximate the actual intake of meatthan the core food availability data, said Jean C. Buzby, economist with the USDAs Economic Research Service. Buzby said she does not know why red meat consumption has declined, but points out that chicken consumption has gone up as red meat has declined. So how does Americans average of 74 pounds of red meat annually stack up against health experts recommendations? Its double what we should be eating, according to many. Heart disease expert Dr. Dean Ornish believes we should eat little or NO red meat, while others, including Frank Hu of Harvard, say one 3- to 4-ounce serving every other day is acceptable. Many experts recommend red meat be limited to 8 ounces weekly. If a person went with Hus advice, he would eat, at most, 12 ounces of red meat a week, in contrast to the 23 ounces the average American now eats weekly. In addition to health concerns, theres been a shift in public attitudes about meat production. Increasingly, the public is concerned about the welfare of animals raised in factory-warehouse conditions, and theres growing awareness of the toll that livestock takes on the environment in the form of water and land use, and fuels and fertilizers needed to grow corn for feed. Rather than considering meat requisite at every dinner or an indication of wealth, many people are deliberately choosing to eat less meat than before, often citing concerns about health, the environment, and the ethics of industrial meat production, states the Earth Policy Institute, a proponent of sustainable environmental policies. According to EPI, total U.S. meat consumption peaked in 2007 at 55 billion pounds and has fallen each year since. In 2012, consumption is expected to drop to 52 billion pounds, the lowest level in more than a decade. Today, its hard to find a nutritionist who doesnt believe America needs to eat less meat and more plants. It doesnt mean youre a vegetarian, said CUs Jortberg. What is means is the majority of what you eat in a day is from a plant source whole grains, fruits and vegetables. The Asians, for example, eat fish, but its mostly rice with a little bit of fish. In this country, we do the opposite lots of fish, little rice. We need to make (protein) more of an accoutrement than the main course. Jortberg is not encouraged. Americans arent changing their habits fast enough, she believes, continuing to forgo healthful food in favor of convenient food larded with extra fat, sodium and sugar. Were still a fast-food nation, she said, a reference to the 2003 book of the same title by Eric Schlosser, which detailed the depth of Americas love affair with processed foods, and exposed conditions in the meatpacking industry. Jortberg said big agriculture is to blame, in part, for lobbying to keep processed foods cheaper than fruits and vegetables. But I also tell people is that food manufacturers make certain kinds of foods because people buy them. If you stop buying pork skins, theyll quit making them. We do have look at our own personal responsibility: no one twists your arm to buy that Big Mac and fries.